Are You An Avocado Lover? You’ll Be OBSESSED After Reading These Benefits! If you’re looking for more excuses to eat avocados, here’s a full list for you! Healthy fats: avocados are rich in good fats, which reduce the risk of heart attack and stroke. The good fats are also beneficial for your cholesterol levels. Weight loss: Nutrition Journal published a study in which they found that eating just ½ avocado with lunch keeps you satiated 40% longer. Blood pressure: avocado is rich in potassium, which according to the American Heart Association is a natural blood pressure controller. Cholesterol levels: according to a recent research, 1 in 3 Americans suffer from health issues caused by high cholesterol. Regular consumption of avocado lowers blood triglycerides and cholesterol levels, and it’s one of the best natural ways to lower them. Rich in nutrients: each serving of avocado has more than 20 different vitamins and minerals. One avocado serving contains 33% of vitamin C, 21% of vitamin E, 26% vitamin B6, 53% vitamin K, 19% copper, 41% folate, 28% of potassium, and 28% of pantothenic acid recommended daily values. Nutrient absorption: the amount of nutrient might not be as important as the way they are absorbed. All of the nutrients found in avocado are fat-soluble, meaning they use the fat in your body in order to get assimilated. Diabetes prevention: according to a research conducted by the Center for Disease Control and Prevention diabetes affects 40% of people in the US. One study shows that the participants who consumed ½ avocado with their lunch had increased carb and calorie intake, but showed no increase in blood sugar levels, unlike those participants who ate lunch with no avocado on the menu. Pain relief: avocado extracts are known as great arthritis pain reducers. Avocado’s anti-inflammatory properties are known to soothe the pain caused by arthritis and inflammatory based ache. Better eye health: one of the leading causes of blindness is macular degeneration. Foods that contain high levels of phytonutrients are known to prevent the macular degeneration, and the best source of them is none other than our hero-avocado. 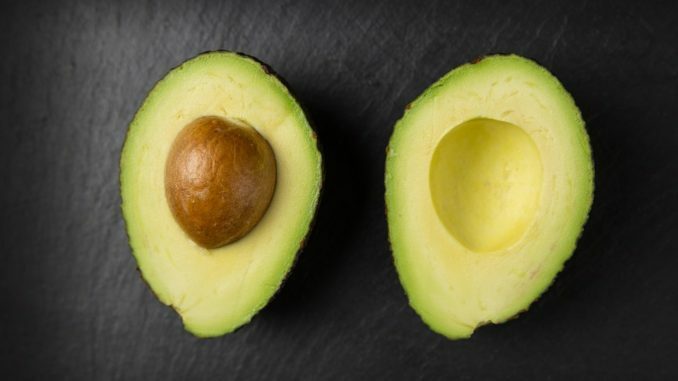 Pregnancy: avocado can be one of the most important foods for pregnant women to consume, as it’s rich in vitamins B6 and C, as well as folate and potassium. Vitamin B6 is crucial for the baby’s development, and folate is also one of the much needed elements in early fetus development. Avocado also reduces morning sickness. Anti-carcinogenic properties: avocado is proven to help in prevention of prostate cancer, and it also reduces chemo therapy side effects. Bone strength: rich in vitamin K, folate, and copper avocado helps in maintaining strong bones. Digestion: one avocado contains 13 grams of fiber, which is more than 50% of the daily recommended dose. Improving your mood: several studies have shown the link between low potassium levels often go hand in hand with depression. Scientist agree that folate and potassium deficiency, which avocado is full of, is a major factor in depression and mood disorders.